So how many of you have fathers, brothers, husbands, sons etc? Well, sometimes these males figures in our lives come in handy!! lol You know when they get those nicely packeged up dressed shirt with cardboard pieces, plastic pieces and pins. Those pins, gosh, I love those pins. I unpack all of my husbands shirts with love and care just for those tear drop pins. They are great for pinning hijabs. My previous post was about hijab tutorials by Amena who teaches some great styles that require plenty of pins. 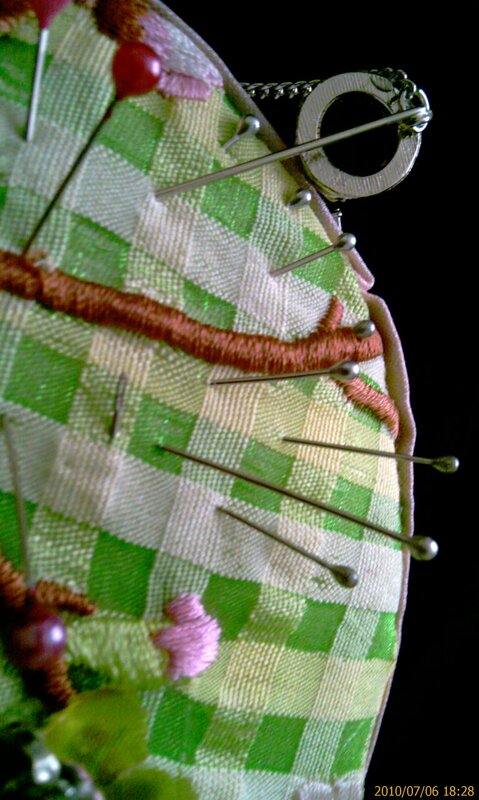 When I wear my hijab I use almost 10 pins, and you can’t almost any of them. Also with many different styles, you need a lot of pins to hold them together and you don’t want to use the big sewing pins with the colorful ends. You can sometimes, but for example if you’re wearing all white, you don’t want multi-color pins all over your head, especially with the folds. These tear drop pins are great and they are super sharp and almost invisible to the eye. When taking the hijab off, take it off slowly by unwrapping it and that will be your guide to removing your pins.